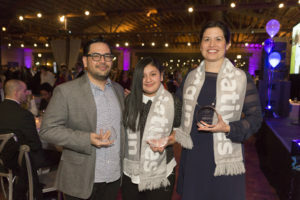 Urban Initiatives – 2019 Soccer Ball is Huge Success at New Venue! 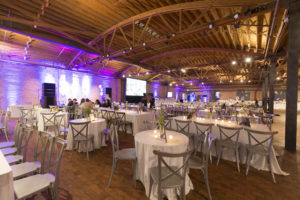 2019 Soccer Ball is Huge Success at New Venue! 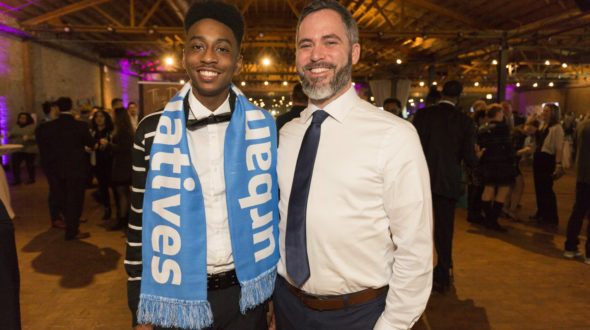 Urban Initiatives and Allstate Insurance presented the 2019 Soccer Ball at Rockwell on The River on Friday, January 25, 2019. 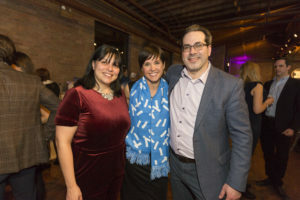 Featuring fundraising, dancing, cocktails and delicious appetizers, Soccer Ball 2019 was a complete success! Guests including Chicago’s top philanthropic leaders, business executives, and family foundations joined in to celebrate Urban Initiatives and help raise funds for our continuum of programming. Over $94,350 was raised in ticket sales and more than $62,000 was raised through the silent auction which included amazing items such as a Utah ski trip, a Disney World family vacation, amazing tickets to Cubs, Blackhawks and Bulls games, and gift cards and experiences at some of Chicago’s most popular bars, restaurants and breweries. In addition, more than $77,000 was raised during the Paddle Raise, which included an extremely generous match of $15,000 from William Blair. A total of $650,000 was raised and will allow Urban Initiatives to continue to empower our participants to become community leaders in Chicago Public Schools through academic success, healthy living and social-emotional learning. During the presentation, emcees Dionne Miller from ABC7 News and Mawi Asgedom of Mawi Learning helped to present several awards to our dedicated stakeholders. The Soccer Ball Award was presented to Grainger for their generous support since 2013. Grainger, a business-to-business distributor of products used to maintain, repair and operate facilities, has gone above and beyond in their support of Urban Initiatives’ sports-based youth development programming. Grainger’s culture of service extends into the community, and its local partnerships provide vital resources to help advance lives where its team members live and work. Over the last five years, Grainger has supported Urban Initiatives through volunteerism, hosting Urban Initiatives’ participants at their offices, providing generous in-kind support, attending Urban Initiatives’ events, and serving on the Urban Initiatives Board of Directors. The 2019 Paula Armstrong Memorial Heart of a Champion Award was presented to Paul Damato, who has been involved with UI for almost ten years. Paul’s tireless dedication to UI has been absolutely essential to our team and an inspiration to those around him. A staple at the office and events, Paul spent many years helping to build up our Associate Board, eventually serving as the Vice Chair. He is also a founding member of the UI Media Committee, on which he serves today. His infectious personality and commitment, inspires others to be a part of our work and has made an incredibly powerful volunteer. Coach Cynthia Gonzalez from Marquette School of Excellence presented the Troy Cameron Team Captain of the Year award to the very inspirational 8th grade Team Captain Jade Caltzontzin. Jade has demonstrated leadership on the field and in the classroom at Marquette and has become a role model for her fellow teammates. Congratulations to all of our honorees and thank you for your continued support of the Urban Initiatives mission! Finally, Urban Initiatives would like to thank all of the amazing sponsors, host committee members, Board of Directors, Builders Board, Associate Board, and our wonderful guests. A special thanks to our presenting sponsor Allstate- their leadership in the Chicago corporate community and their dedication to Urban Initiatives programming is indicative of their commitment to building a brighter future for Chicago’s youth. Thank you to Lettuce Entertain You, Constellation Brands, Beam Suntory, MGP Brands, Revel, Limelight and Sound Investment for making the logistics of the 2019 Annual Soccer Ball a giant success. Thank you to everyone who attended and make sure to save the date for the 14th Annual Soccer Ball on Friday, January 24, 2020!